I know, my list is too long too!! Ill have to teach you how to crochet!!!! Yes I like that mix too… might need some myself the same! Im sold on the bowl too! What a gorgeous idea! I love them, and the bowl, and the colours. I’m definitely going to give those coasters a go… lovely! Really nice. They were already in my to-do list for my mother also, but first I need to start another project for her, a square basket to put the cutlery in her drawer, as I want to use the leftovers. I like the idea to make also a small bowl to hold them. Thanks for sharing. BTW, have a look at http://www.gleefulthings.com/blog/?p=1884 I have just learned how to make an invisible join. Ohh I like the idea of the rectangular basket for cutlery… I might have to give those a go!! 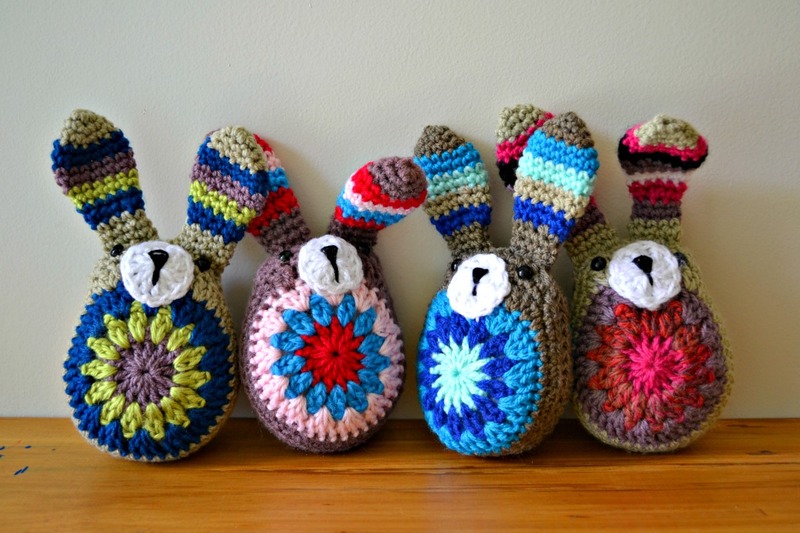 I love them and even though I am a keen crocheter, I never thought of such a good idea!! Definitely on my to do list but starting with a special one for myself. Good idea, I’ve just made myself two red ones… Just have to weave the ends in now: wish I could skip that step!! They are lovely. Having a bowl to store them in is such a great idea! Oh they are just lovely! I only have a very basic knowledge of crochet but these would make me learn just so I could make some. What a lovely gift. I liked the coasters as well! And colors! What is the name of the cotton you used? Very pretty thank you for sharing! Those are beautiful! And I love the colors, so very soothing. Reminds me of an island getaway. Can you make a youtube tutorial or a video? 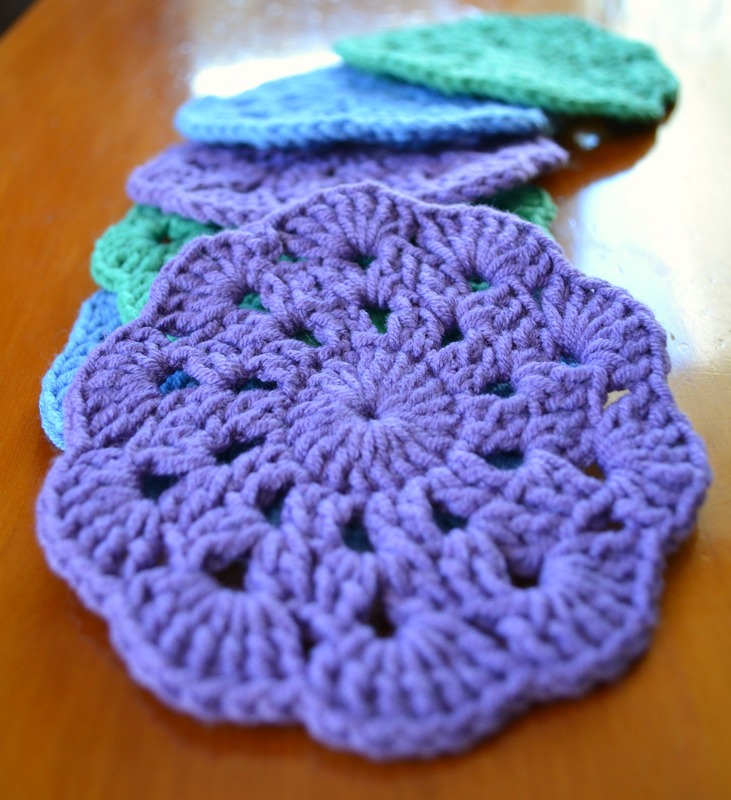 those crochet coasters are really beautiful! I love the colors too. May I get a pattern? Thanks for the tips Erin! 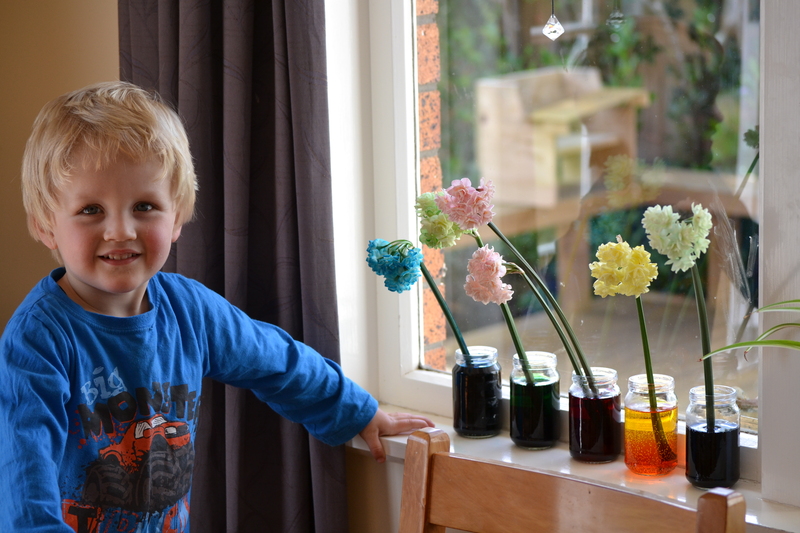 I also never found the pattern, can you please post it – the tutorial is great, but I want a printed pattern please. I just finished 6 lovely coasters for my moms birthday at the end of Jan. 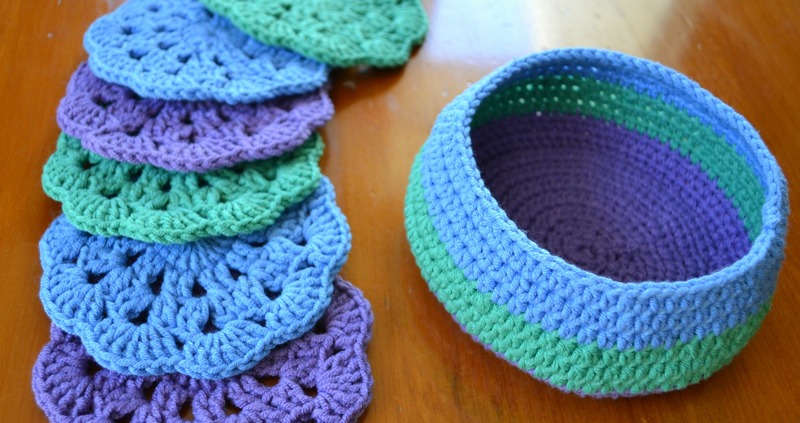 Since I am new to crochet I have no clue how to make the bowl, which I am upset about. I just wasn’t thinking. Darn it. 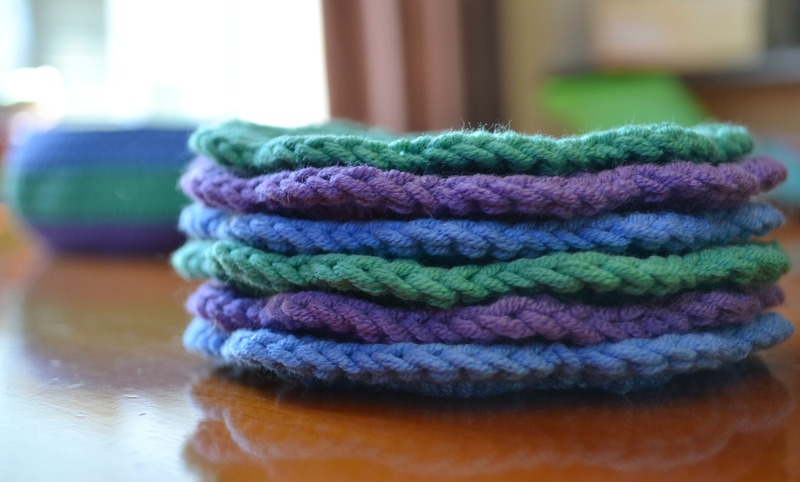 This was an easy pattern and it took me just a few hrs (with a few breaks) to make all 6. Thanks so much! You have a lovely blog. I follow and share. Good morning. I looked through a few stores for some coasters to use on our new coffee table and couldn’t find any. Then it occurred to me that I could make some crocheted ones. I did a search on the ‘net and found your lovely pattern. After making the first coaster, I was “hooked”. I have four made and intend to make a couple more sets in coordinating colors. This pattern is quick, easy, and pretty. Thank you so much for sharing. Hi! Lovely pattern! Just made the coasters but do you have a pattern for the bowl please? Thanks! The link to the pattern leads to about.com. The link to the photo tutorial works fine though. Just wanted to let you know. And they really are lovely! Could you give us a hint? 8^) I’ll have to figure out the basket thing. I’ve made boatloads, ok a few, of the coasters. Thank you so much for posting it.